How to Create Sub Categories On Magento? 1. 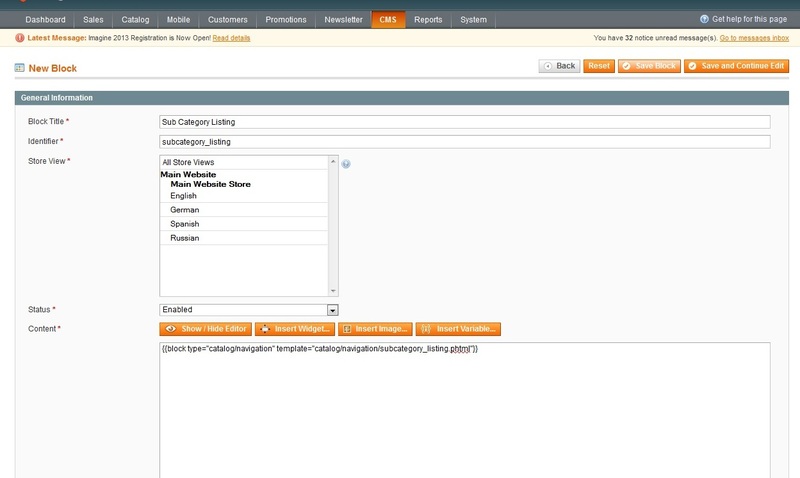 First of all you need to go to the admin section of the Magento ecommerce website. 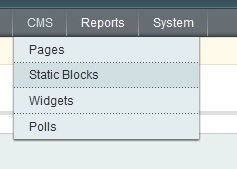 Magento Admin Menu3. Now on the page that loads, click on the ‘Add New Block’ button on the top right. Add New Block1. Go back the admin menu once you have saved this. 4. Save this by clicking on the ‘Save Category’ on the top right section of the page. 5. 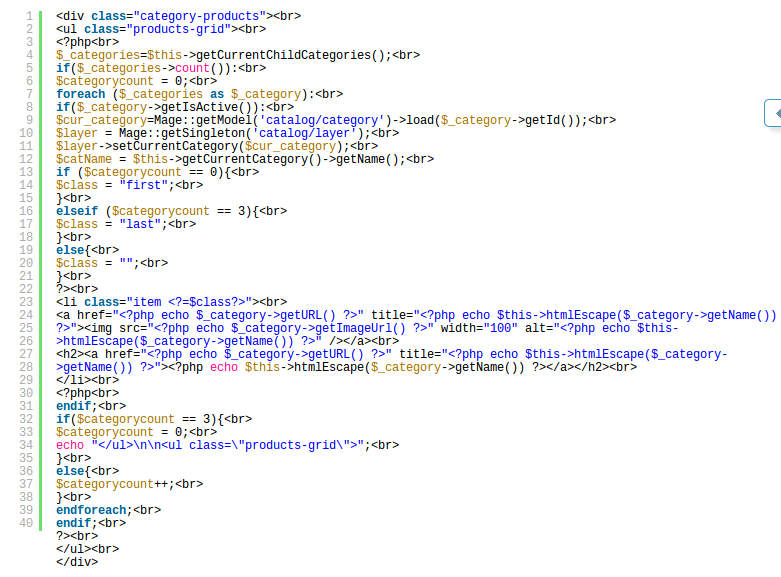 Once that is done, create a new file by the name ‘subcategory_listing.phtml’ with the following content. Now use FTP to connect to your web server and then browser to where your Magento files are stored. Go to the directory app/design/frontend/default//template/catalog/navigation/ and upload this file created above. You can create the directories missing from the path above if required. While on the FTP connection is still alive you need to go to the directory app/code/core/Mage/Catalog/Block/Navigation.php and download the file navigation.php. While still on the FTP, navigate to the directory app/code/local/Mage/Catalog/Block and upload the copied navigation.php file to this directory. Now upload this file to the web server using the same FTP connection. That is it, you are done; if you browse to the frontend of the site and open the category with the sub-categories added to it should show the sub-categories listed. If in case they are not present you may need to clear the Magento cache first and then attempt load the page.